Happy Monday! Hope you all had a good Fall weekend:) Are you all ready to check out another set from the October Mama Elephant release? Today's set is Polar Pals! 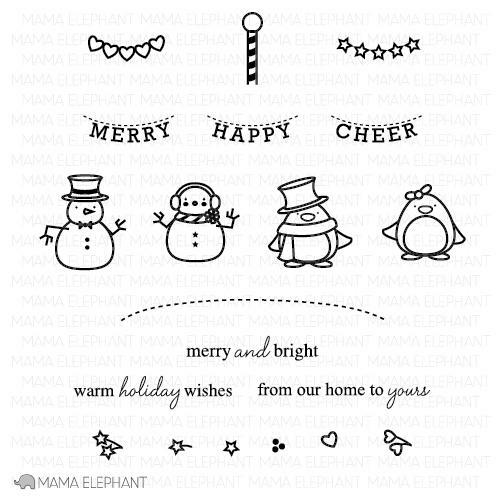 I am having so much mixing and matching the sets from Mama Elephant! 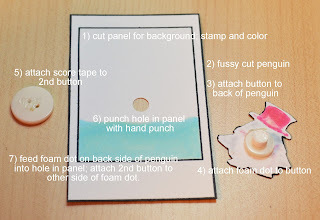 I took the cutest little penguin from Polar Pals and matched him up with stamps from We Click, Good Times, and even Believe in Magic. 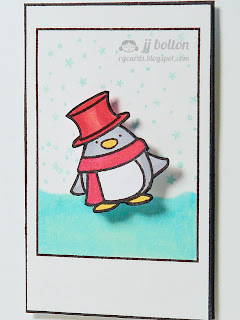 (I swear I'm going to wear out that little star/snow stamp from Believe in Magic) And this little pink-garbed penguin really does shuffle! 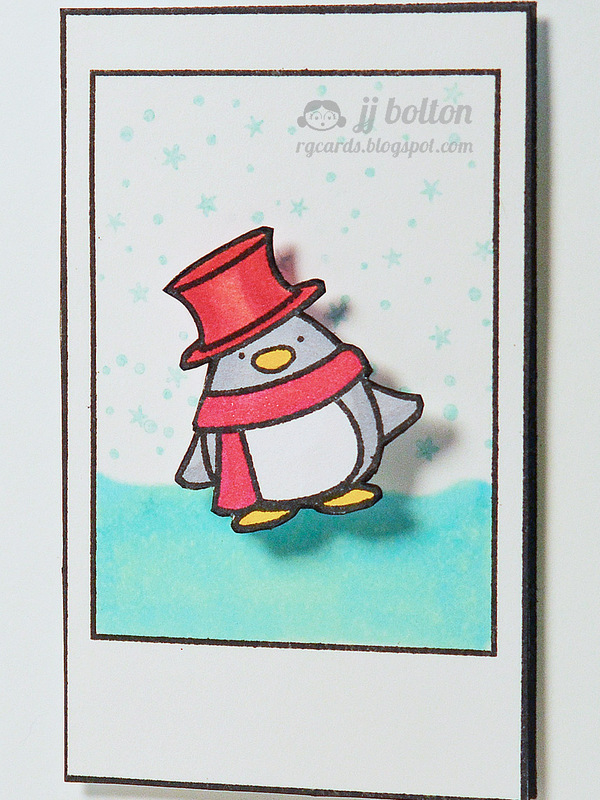 This little dude swivels back and forth:) Want to know how it's done? Click on the pic below. It's basically a "spinner" card that stays in one place. Thanks for stopping in! 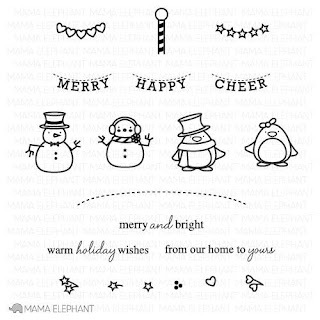 Now head on over to the rest of the Mama Elephant gang and enjoy their fantastic projects! GET OUT!!!!!!!!!!!!!!!!! That spinner is SOOOOOOOO clever! LOVE LOVE LOVE! 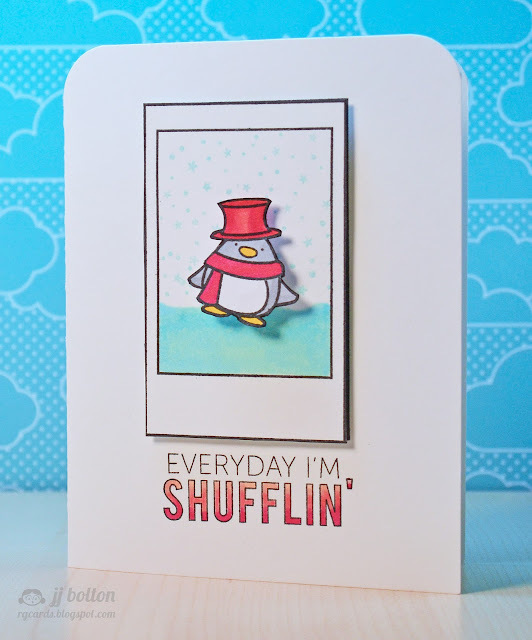 I love that the penguin is shufflin'!!! ACK! YOU literally AMAZE me!! LOVE x10000000000 x1000000000!!!! Thanks for putting a big smile on my face this morning with this cutie! He is so cute! I love this sentiment, but haven't quite figured out what to use it for....this is perfect! Great coloring too! Too cute! And SO clever, JJ. I wish I could come up with half the great ideas you come up with. 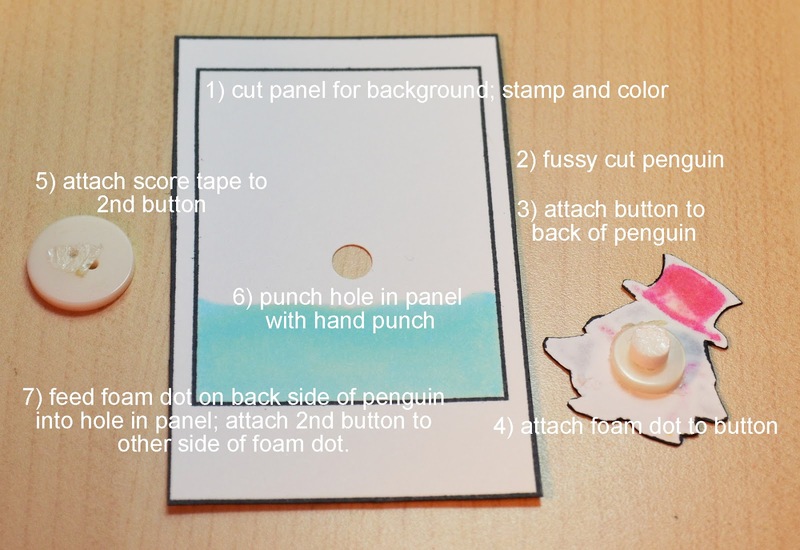 Such a cute card and love your spinner idea! OMG. I love this WAY more than any person should love a card! HAHAHA! SO cute and I'm in LOVE with that sentiment!!! EEEEK! Too clever JJ! Brilliant! 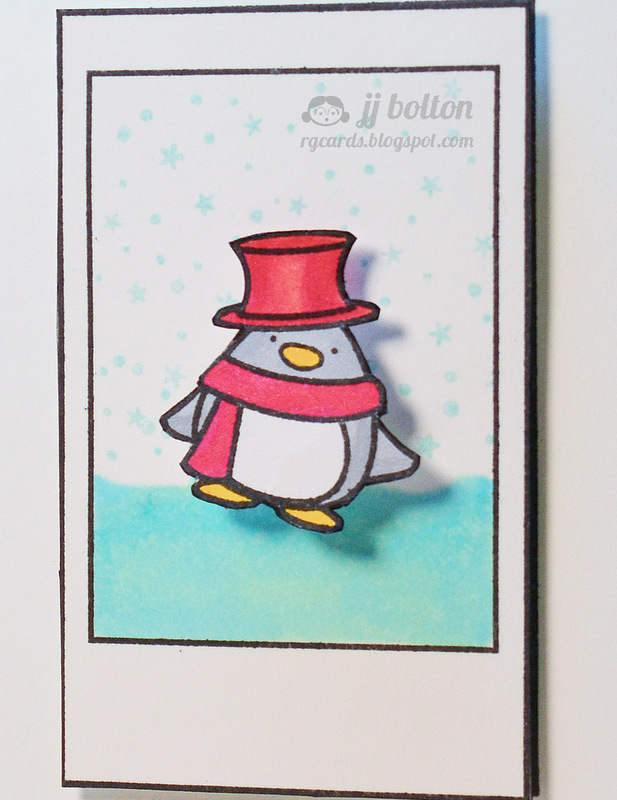 This card makes me grin from ear to ear. Fantastic JJ, this makes me want to get up and dance! So adorable! This went in and out of my cart..... and it finally went out. DARN. This is adorable!! 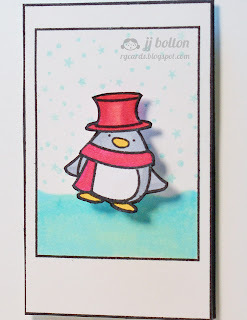 Love that sentiment with the cute little penguin!! JJ, this card is phenomenal! It's cute, made me laugh and the spinner feature is just awesome! Thanks for sharing! oh my, could this be any more PERFECT?!? A penguin shufflin, yes he certainly does, everyday! Hahaha, this one just cracks me up. And you made him shuffle on the card too!! Brilliant. you also make cute interesting in a design perspective. only you JJ, only you! I love this! That sentiment is a scream!! !